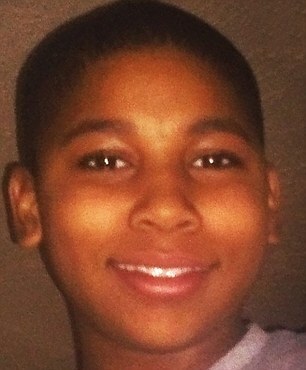 A Cleveland police dispatcher was suspended for eight days for failing to warn officers in the 2014 shooting of 12-year-old Tamir Rice that a 911 caller had described the scene as probably a child with a fake gun, the boy's family lawyer said on Wednesday. Reports of the suspension published in Cleveland on Tuesday led to criticism of authorities on social media under the Twitter hashtag #TamirRice, including "8 days suspension? How pathetic" and "the 911 dispatcher whose words lead to the terrible death of tamir rice, an INNOCENT 12 year old, should be FIRED, not simply suspended." The shooting of the black child, who was playing with a replica gun that fired plastic pellets, by two white police officers was one of several that fueled scrutiny of police use of deadly force across the United States, particularly against minorities. The family's lawyer Subodh Chandra said the dispatcher, Constance Hollinger, also received a disciplinary letter after a 10-month investigation that ended in February. An off-duty officer at the scene, William Cunningham II, was suspended for two days without pay. Chandra publicly released a March 6 letter about the city's decision on Tuesday evening. City and police union officials confirmed the letter's legitimacy. The attorney for Hollinger, Keith Wolgamuth, could not be reached to comment.